Sometimes, something gets very valuable very quickly. You might assume that by checking completed listings on eBay and seeing a particular collectible sell for the same price consistently that it must be worth that, but if you haven’t been paying attention to the market for a while, you might not realize that it wasn’t nearly as valuable a year ago. What happened to cause such an escalation of price? 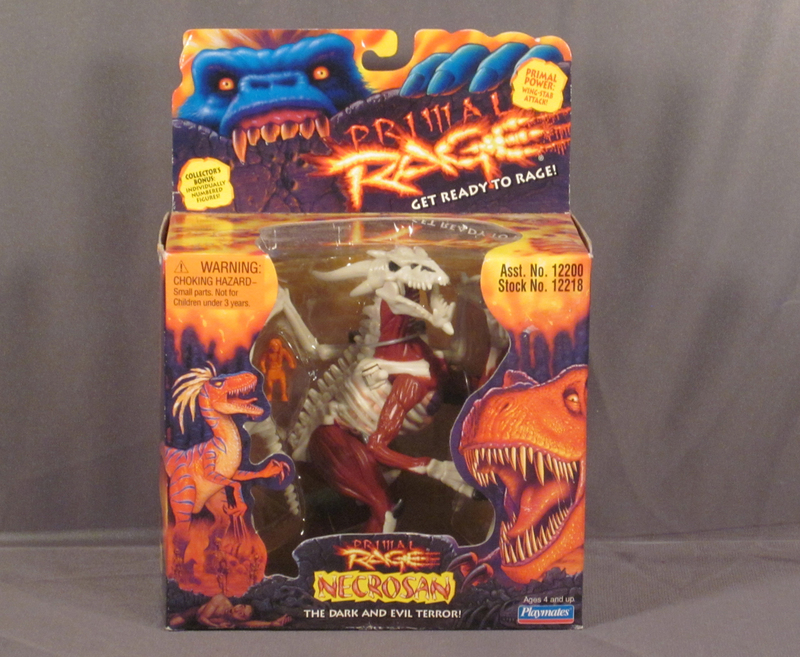 I’ve been asking that question – and formulated several reasonable answers – when it comes to the Primal Rage figure Necrosan. Here’s Necrosan in all its glory! This figure has gotten really, really expensive lately. 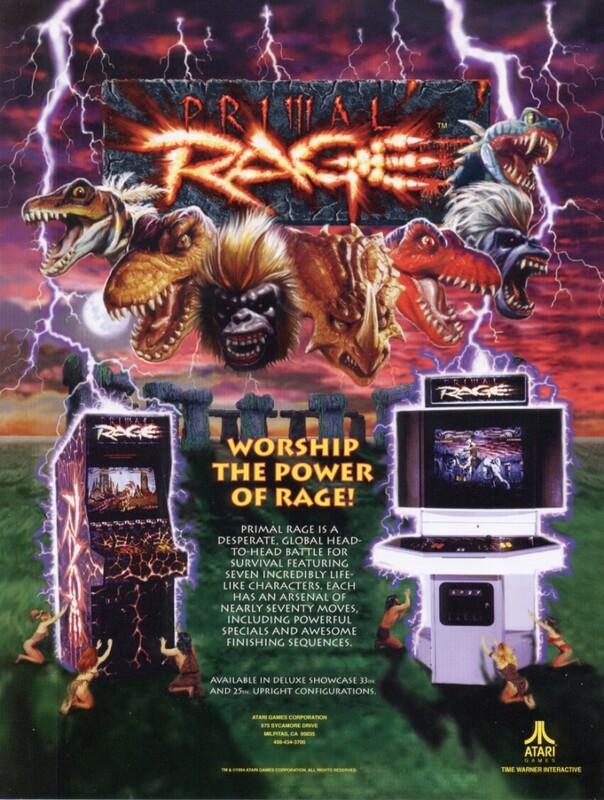 Primal Rage is an arcade game that was released by Midway in 1994. Midway was responsible for the hyper violent yet massively popular Mortal Kombat series of fighting games. To capitalize on both the popularity of fighting games as well as the popularity of dinosaurs thanks to Jurassic Park, Midway created yet another hyper violent fighter starring giant dinosaurs and apes pounding each other senseless with inordinate amounts of gore spouting out across the screen. What should have been a recipe for inevitable success in 1994 was not as successful as many had hoped. While Primal Rage could be found at arcades across the country, it was competing against an ever-expanding roster of fighting games that were all competing for hard-earned quarters. A sequel was planned and initially developed, but Midway decided that it wouldn’t be lucrative enough to justify production. Despite Primal Rage only receiving one arcade entry into the series, there’s actual quite a bit of Primal Rage merchandise available to collect. It was ported onto virtually every system that was available at the time. It also received a board game, a comic book, and, I wish I was kidding, a NOVEL. But of course, it also had a corresponding series of action figures, made by Playmates toys. They were big and chunky and meant to be thrown around the same way you would have thrown around LJN WWF Wrestlers in the 1980s. They all featured actions that helped recreate their special moves in the game. Despite not receiving a second game, Playmates actually produced a second series of action figures. Some of these were repaints of first series figures, but there were two new characters who would have shown up in the second arcade game: Slash Fang (a sabretooth tiger) and Necrosan (a…uh…a skinned…dragon…thing?). Had the second arcade game been made, Necrosan would have been the final boss, which is something the first arcade game was lacking. 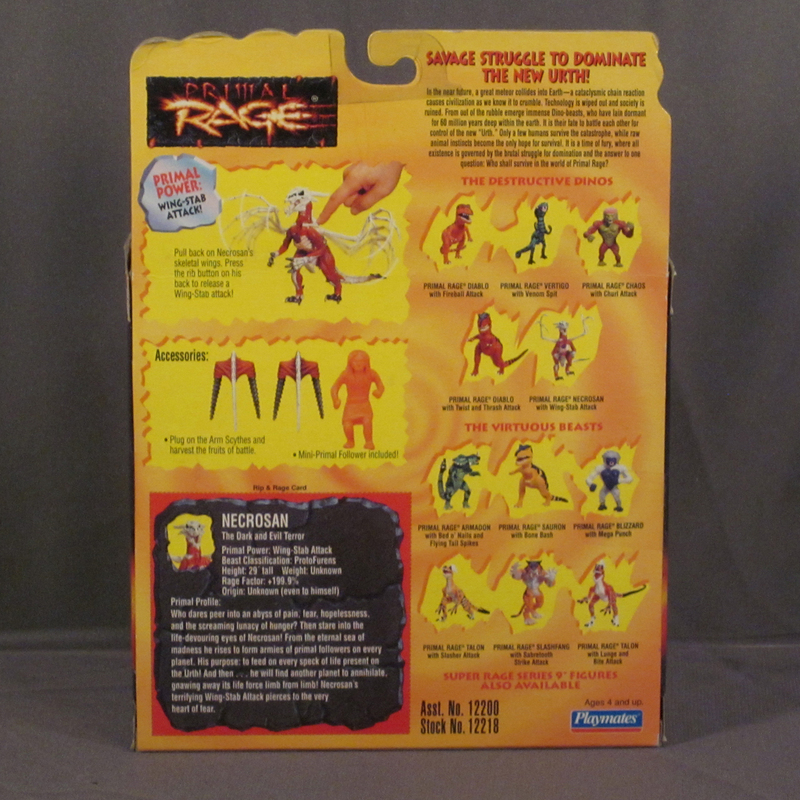 Here’s a look at the back of the package showing Necrosan, Slash Fang, and some of the other repainted Series 2 figures. The toy series was scrapped after this second series of figures, and they were quickly discounted at Kay Bee Toys at rock bottom prices. So why has this figure suddenly been selling at various points of the year for more than $500? Yes, that is a real number. While most collectors of 1980s action figures scoff at the notion that anything made beyond 1989 is worth anything at all, there’s a figure from the latter part of the decade that collectors really, really want to have. To be fair, more recent sales put it closer to the $100 to $200 range for boxed, mint examples, but still, that’s much more than just about any other action figure from that particular era. I have a couple of reasonable theories. 1.) It’s definitely a short-run figure, and I’m basing that on personal experience. I remember seeing piles of figures on clearance at Kay Bee, including the aforementioned Slash Fang. However, maybe I saw Necrosan in a store once if at all when it was a new toy. While scalpers of the day added to the rarity of certain infamous figures like the first Princess Leia, the truth is that they’ve all been very easy to obtain and aren’t worth much at all. Necrosan is one of the few domestically action figures of the 1990s that is legitimately rare. 2.) Primal Rage is picking up steam as a collectible. When I started collecting Primal Rage toys about six years ago, it was because I remembered them fondly, but it was also because they were so darned cheap, even on eBay! I could pick up large lots for $20 plus shipping without difficulty. It seems like people have come to appreciate the line (anything with dinosaurs seems to be collectible these days, if the prices on Dino Riders and Jurassic Park toys are to be believed), and so if they want a complete series of figures, then they have to track down Necrosan. 4.) He is just plain crazy and horrifying. What parent would encourage their children to play with this thing? It absolutely looks like it came straight from Clive Barker’s nightmares. You have a dragon WITH ITS SKIN RIPPED OFF, revealing its innards, it’s musculature, and it’s skeletal structure. Yes, there’s a ton of merchandise today for Attack on Titan’s Colossal Titan, but all of it is meant for adult collectors, not children. I think it’s appealing to those who like monster figures, and that includes plenty of collectors out there. Now, I think all of these reasons provide a more than plausible explanation as to why Necrosan has gotten to be such an expensive action figure lately. I think some combination of the four reasons is responsible for this, but I couldn’t tell you which ones carry the most weight for the people willing to spend that kind of money for it. As for me, I bought it for $15 at a toy show last summer. I knew that was a fair price – I think maybe it was selling for $50 to $75 at the time – but I didn’t realize how much of a bargain it would be in the long run. It goes to show that the market is constantly in flux, so if you really want something for your collection and can comfortably afford it, it’s best to do so as soon as possible, because you don’t know when it’s going to become the next impossibly expensive thing that everyone else has to have! This entry was posted in 1990's, Action Figures, Ben, Halloween, Monsters, Toys, Weird. Bookmark the permalink. 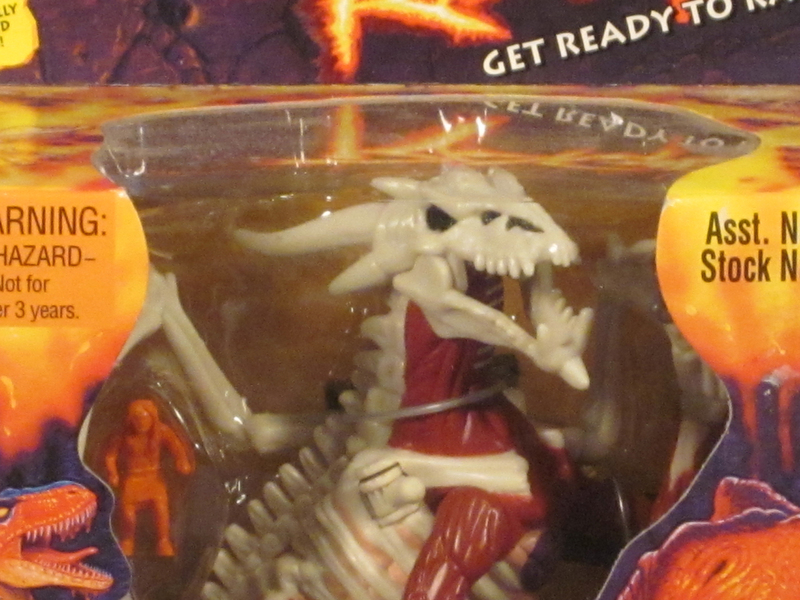 4 Responses to Primal Rage Necrosan: A Terrifying 90s Figure that’s Terrifyingly Expensive! I’ve been looking for quite awhile to price the loose Necrosan I own, still in great shape. I have several figures from this line, also including the mentioned Slash figure. This was a nice read. With a fluctuating market, it’s been tough to even get a sense of any value. Even outlets to sell said items is tough to find, in order to get prime money for their value. It appears that the line has calmed down in price considerably since I wrote the article. I think I’ve observed prices of $50-$100 on loose examples. It’s really tough to find them with the wings! Yeah, that’s what has made it difficult for myself. Such a huge flux of value that it’s been tough to get a sense of value. Someone suggested I hold on a tad longer and see about trying the market around the E3 Expo, saying that so much video game exposure might attract interest and net more value. With the piece I own, it does have both wings. But I’m unsure of all the accessories to each Primal Rage piece I have, so I don’t know if I may have the complete piece or not. Been trying to dig into that as well.